Gothic Stories – Beginnings & Endings. L.O. – To make the ending of a story relate to its beginning. 1 Gothic Stories – Beginnings & Endings. L.O. – To make the ending of a story relate to its beginning. 2 A teenage boy walks into his local park at around 7 o’clock at night. 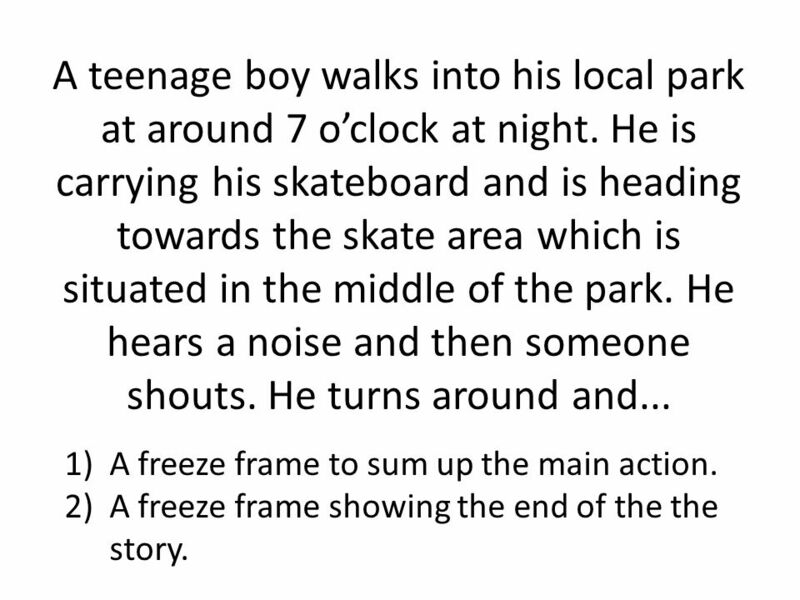 He is carrying his skateboard and is heading towards the skate area which is situated in the middle of the park. He hears a noise and then someone shouts. He turns around and... 1)A freeze frame to sum up the main action. 2)A freeze frame showing the end of the the story. 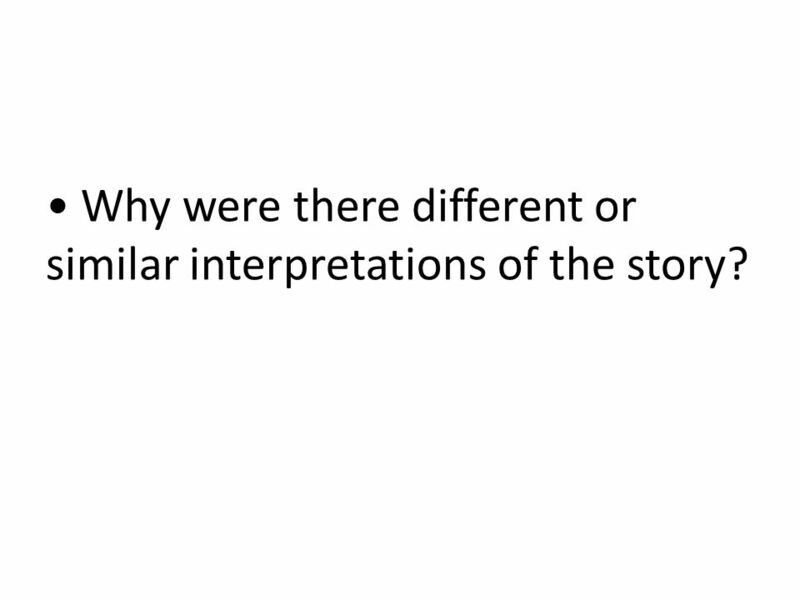 3 Why were there different or similar interpretations of the story? 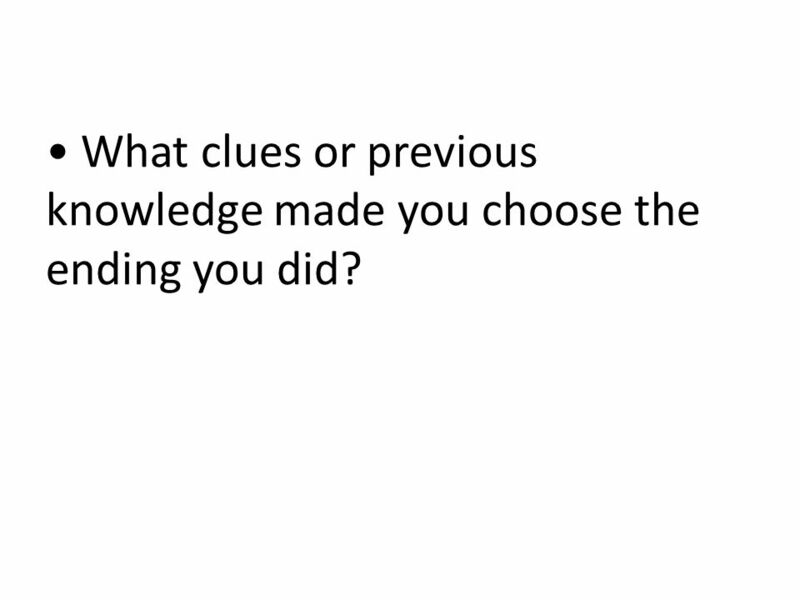 4 What clues or previous knowledge made you choose the ending you did? 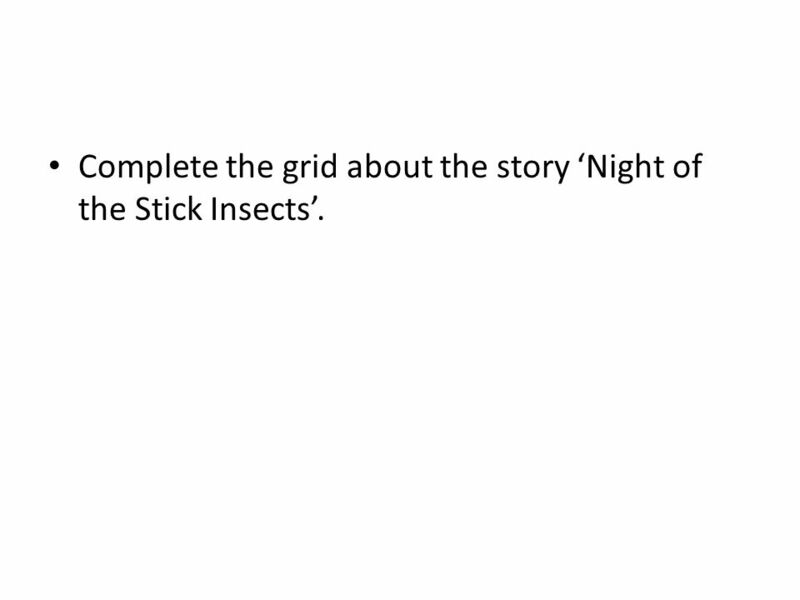 7 Complete the grid about the story ‘Night of the Stick Insects’. 9 ‘Home’ How it will end..? The noise behind the fireplace at the start – what was it? What has happened to Emily? 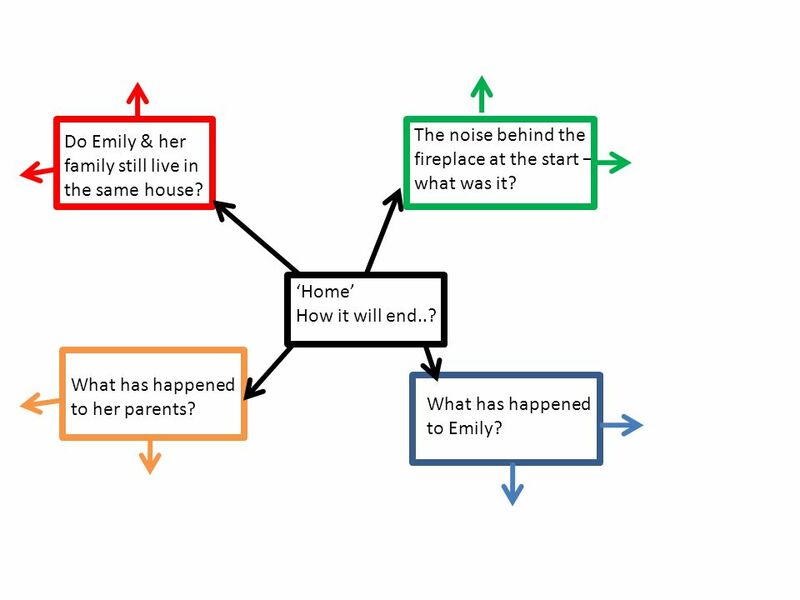 Do Emily & her family still live in the same house? What has happened to her parents? 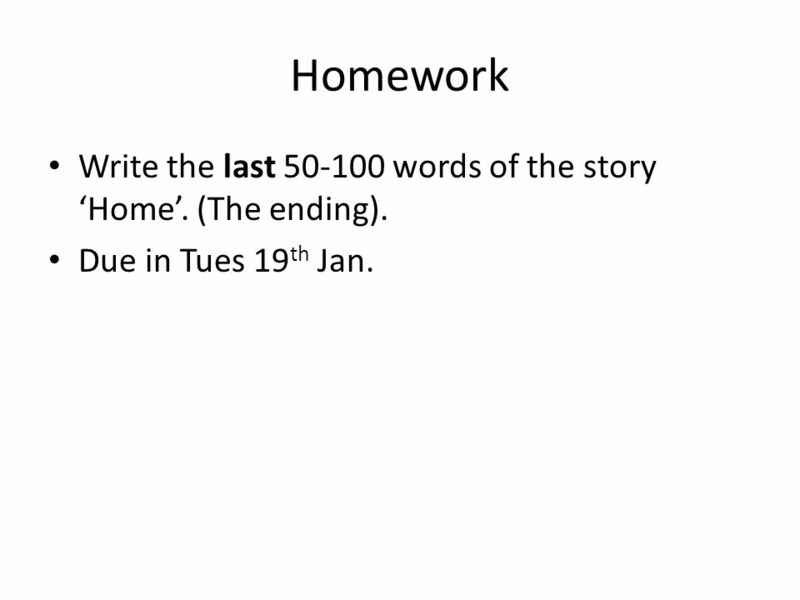 10 Homework Write the last 50-100 words of the story ‘Home’. (The ending). 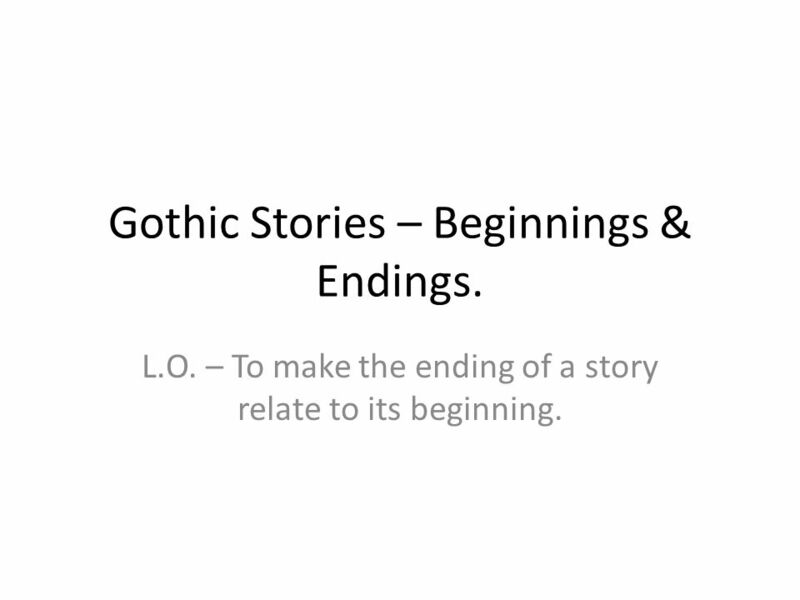 Due in Tues 19 th Jan.
Download ppt "Gothic Stories – Beginnings & Endings. L.O. 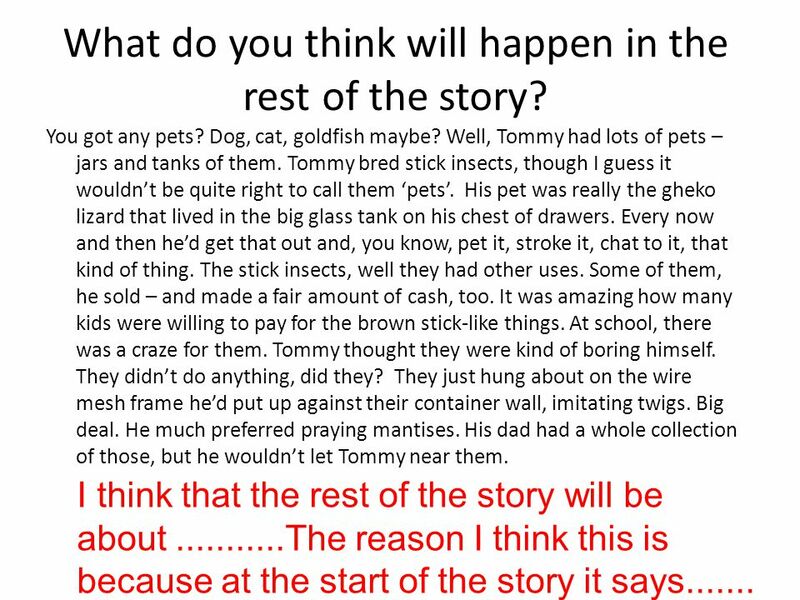 – To make the ending of a story relate to its beginning." Feet. land side without boy once animals life. Sidewalks First Grade Unit 1 Week 1 Day 1. Inferring The most natural thing to do.. The AWESOME INFERENCE Most people are pretty good at figuring out mysteries. If you aren’t you might have trouble. The Pigman by Paul Zindel. Sticks and Stones Read the story. Objectives Pupils will know and understand: Name calling can be bullying. How being bullied can make someone feel. There. What’s happening to Bella? ?????? On Monday, Sam took Bella his dog for a nice long walk. Bella loves to run during her walks, but today, Bella was SOOOOOO. A Pet for Miss Wright. LET’S EXAMINE THE COVER ILLUSTRATION. Notice the woman on the front cover. She is surrounded by animals. Name the animals you see. (1) go to the music festival (3) go to the Liverpool match (4) stay out until midnight (6) stay up late to watch TV ( work sheet, Ex. a ) (2) go to. Snow Day By Katie Beep, beep, beep, beep. My alarm clock went off at 7:50 am on Monday. Time for school I thought as I woke up my sister. Emily Wake. 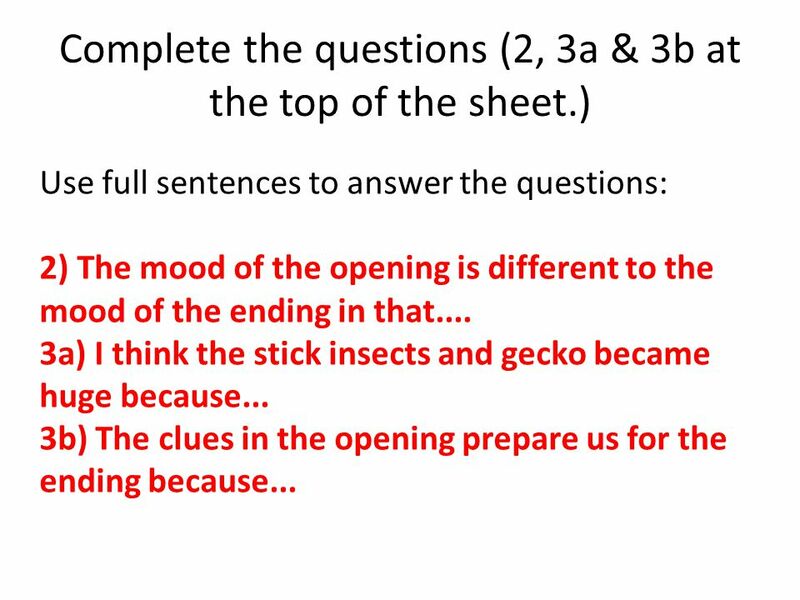 TAKS ACADEMY Inference Lesson One. What are some things you can infer in this picture? 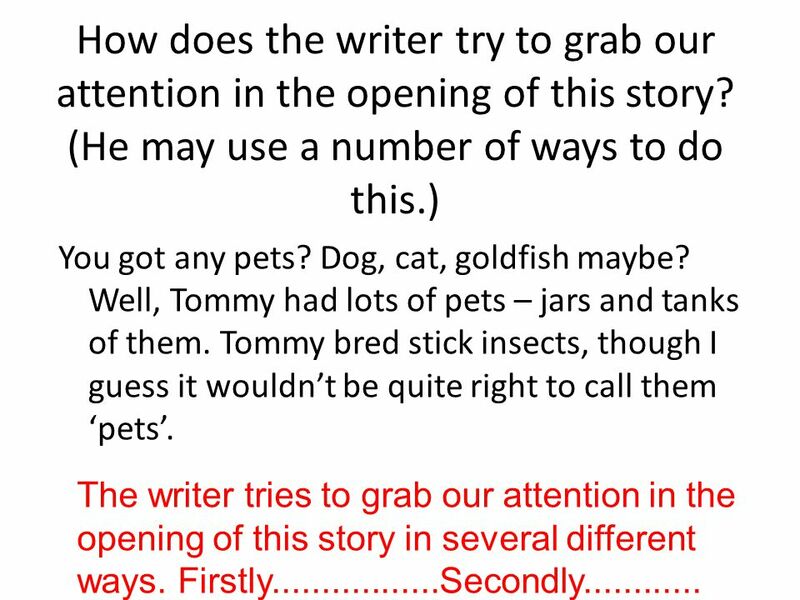  Today, we are going to learn how to correctly format dialogue in narrative writing.  This will help us improve our writing skills.